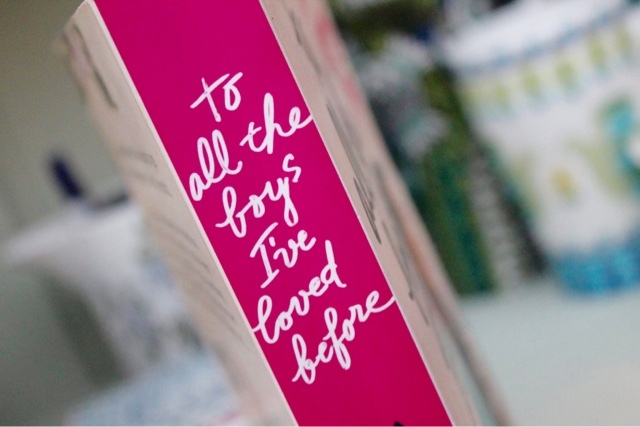 Lara Jean composes her letters as a way of ending her romantic feelings for each individual boy. It's almost as if writing about her love leaves it trapped wiithin the letter. These letters are then obviously meant to be seen by her eyes only, so disaster strikes when they're mysteriously mailed out. The whole idea behind the book is rather cute. Let's be honest, we've all imagined conversations with past romantic-interests, where we open up and reveal our previously unspoken thoughts and feelings; putting out in the open all of those things that we wanted to say but never felt able to. But the idea of actually penning a letter detailing these ideas sounds so liberating. I'll be the first to admit that leaving things these sorts of things unsaid is never a good idea and the overthinking it leads to can actually be mentally quite damaging. So perhaps I'll try this letter-writing idea, but I dare say I'll look after my letters slightly better than Lara Jean does. I was half expecting the story to centre around what happens when the letters are sent out and made public. You know, the typical "the whole high school knows my deepest secrets" kind of tale. But that wasn't it at all. 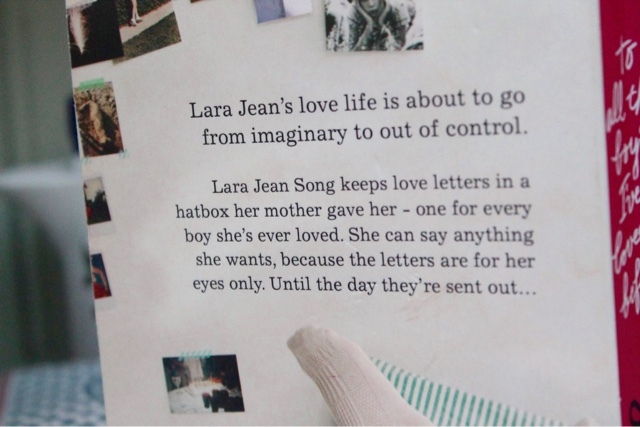 The content of the letters never makes it further than the addressee, and the book explores how the relationship between Lara Jean and each individual changes as a result. 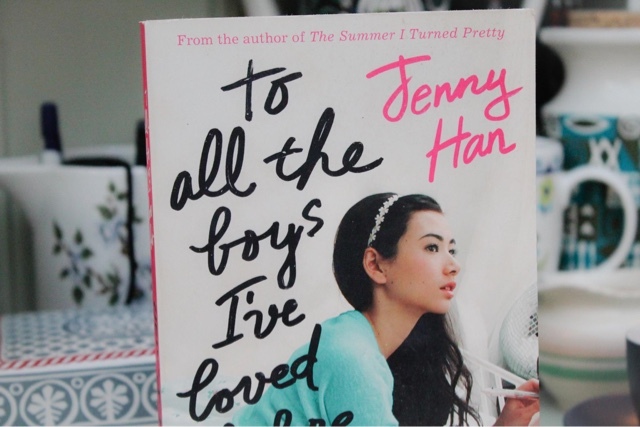 Whilst there are five letters sent out in total, we only truly explore the relationships between Lara Jean and two of the boys: Peter and Josh. The other three individuals do hold minor roles in the novel and although some may see this as simply unnecessary, I really felt like it added something special to the novel. Each of the five boys has a different personality and I found that meeting them all individually and learning exactly why Lara Jean fell for them really helped to shape her as a character. I'll admit I did fall a little bit in love with each of the boys featured in the novel but ultimately my heart belongs to the character of Peter. There was something about the first description of him that just had me hooked: “He has the look of a Handsome Boy from a different time. He could be a dashing World War I soldier, handsome enough for a girl to wait years for him to come back from war, so handsome she could wait forever." "Peter’s kind of wholesome good looks feel more like yesterday than today.” This is pretty much the only physical description of Peter we ever recieve and basic details such as his eye colour and hair colour remain a mystery, but for some reason this brief passage is fulfilling enough. The lack of a properly descriptive physical profiling of the character further adds to the authors emphasis throughout the novel of not judging a person by what they're like on the outside, but on who they are as a person instead. The protagonist Lara Jean is sheltered to say the least. She begins the novel with a very juvinile voice, despite her sixteen years. At times her innocence did verge on the frustrating side so it was wonderful to see her mature as the story develops. In just over four hundred pages she passes from a little girl with an imaginary love life, to a fully independent young woman with enough romance in her life to power a worldwide screening of The Notebook. It really puts truth to the idea that the introduction of one person - if it's the right person - into your life can really turn it on its head and change it for the better. I'll put it out there from the outset: the ending will annoy you. Abrupt doesn't even begin to describe it. If you're anything like me, it will leave you throwing the book at your bedroom wall and proceeding to scream at it for a good five minutes. Perhaps a slight over-reaction I appreciate, but when you're just as emotionally drawn to the story as I was, a lack of resolution not great. Don't let this put you off the book though, as it is an enjoyable read. Just make sure you have a copy of the books sequel "P.S I Still Love You" at hand for when you're done. Goodness only knows what I would have done had I first read the book before Ms Han released the second installment. To All The Boys I've Loved Before is such a little gem in the YA novel department. Despite its romantic core it also features the important themes of family, culture and identity, all of which adding to its status as an inviting innovating read. Jenny Han writes in a gorgeous fashion that leaves you feeling as if you were actually inside the head of the protagonist, leaving you hooked to the story and desperate for the tales of Lara Jean Covey to be endless. Looks really interesting, it's been a long time since I don't read something young and about love haha.